This extraordinary nightstand, created by none other than Stickley Furniture, lets you bring graceful beauty and functional practicality into your bedroom. The single drawer is lined with velvet, below an open space for additional storage. 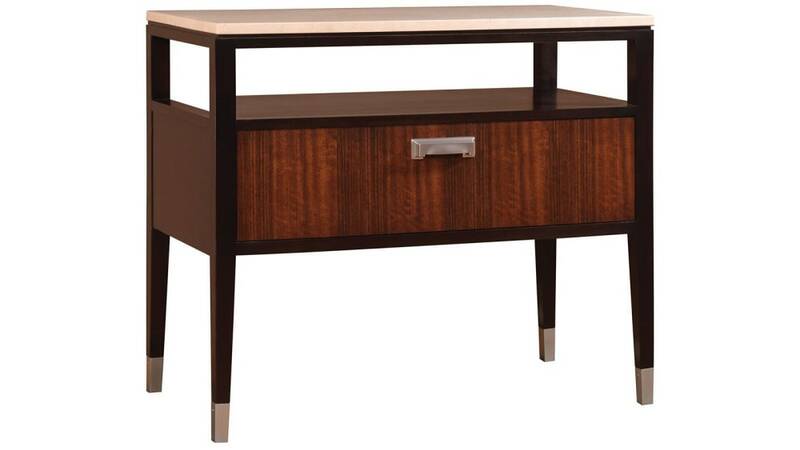 A solid cherry case with a Mozambique veneer drawer front will keep this nightstand stable for decades. A stunning, cream marble top, satin nickel hardware, and tapered legs with satin nickel ferrules demonstrate outstanding attention to detail. Thanks to Gallery Furniture's same-day delivery service, you can have all this in your home TODAY!